Queensland Department of Main Roads worked on the preliminary design for the upgrade of 12 kilometres of the Kennedy Highway, which travels west from Cairns to Kuranda and on to Mareeba, linking the coast to the tablelands. 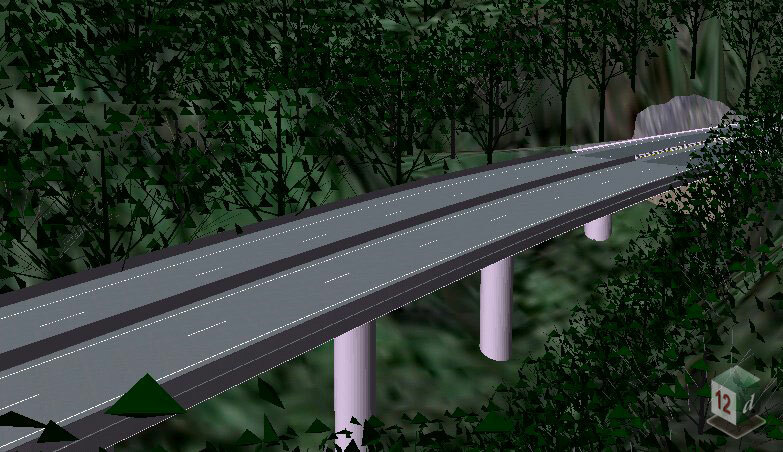 Passing over the Macalister Range and through the Wet Tropics World Heritage Area, Queensland Main Roads created a virtual fly-over and drive-through and selected views of the new highway for the first half of the project, which included 28 of the 34 bridges. The original terrain was constructed from laser airborne scanning (LiDAR data) from a helicopter and then aerial photos were draped over the resulting triangulation to realistically represent the existing scene. The concept design of the new highway was done in 12d Model, and the bridges modelled using super strings. Roadside barriers and vegetation were also modelled in 12d Model to give a realistic impression of how the road and surrounding area would look after the completion of the project and regrowth occurred. 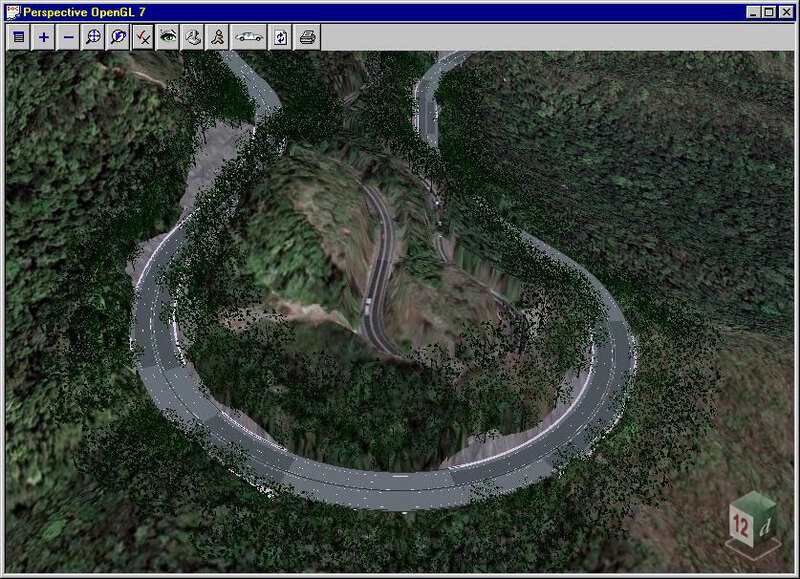 The creation of the drive-through for the final section of the highway was later completed, also with the aid of 12d Model software.